When it comes to planning for contract renewals and end-of-contract actions, both stakeholders and Procurement tend to underestimate the lead time they’ll require. You might plan to take whatever a supplier gives you at renewal time (how often does that happen? ), but to manage a renewal strategically, you will need to ensure you've given yourself enough time to make a proactive decision to renew or not. So, how do you determine the appropriate amount of lead time? When should Procurement start sourcing and/or negotiating with a supplier? First things first, determine the term, notice period, and method for contract renewal or termination. Get that contract metadata in order! You may be keeping the contract end date in mind or know it off the top of your head, but how well do you know the notice period for termination or renewal? To negotiate from a competitive position, you should be ready with a decision well before the notice period. That way you’re not forced to renew for another year (or more) because you’re unprepared. Also, while you might be able to discuss contract renewals with your supplier, termination will likely mean jumping through extra hoops to provide “official” notice. 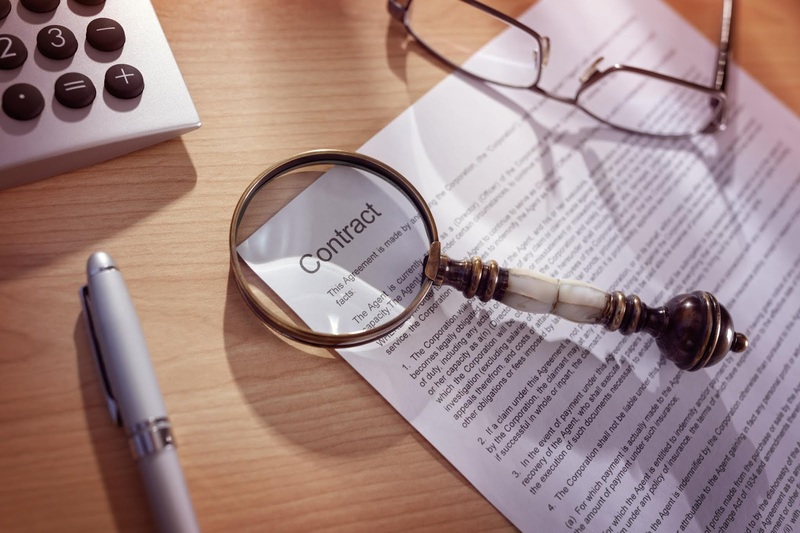 Ensure you’re following the methods stipulated by the contract; any uncertainty could leave wiggle room and lead to finger pointing from the supplier. Collect feedback about the supplier, their service, and overall performance. Ideally, you have had a consistent, open dialogue with the primary stakeholders and are aware of any major supplier issues. Even if that’s the case, consider developing a stakeholder survey focused on evaluating the supplier’s performance and identifying potential areas for improvement. While contract renewals typically focus on pricing, use this opportunity to consider if the scope of services needs to change (e.g. is your organization actually using that “after-hours support” you pay an additional monthly fee for?) or if there are service issues to address by adding SLAs or other performance terms. Whether you’re committing to a renewal or looking into options for transitioning into a new supplier relationship, ensure stakeholders are aligned. Consider where you are in terms of attainment for any contractual commitments. Ensure you understand the type of commitment you have in place (monthly, annual, or term spend-based, time-based, volume-based; etc.) and what contributes to that commitment. This is something that comes up in many telecom agreements. Commitment types and the services contributing to those commitments can vary, so it is important to fully understand the commitment and request periodic reporting to see how your organization is trending against it. In theory, once your commitment is fulfilled you’re in a position to re-negotiate your contract (even if you’re still under the overarching term of the agreement). Consider how long it took you to source and negotiate the category previously. This should give you some indication of how long evaluating a new supplier would take for the products or services. If you know your supplier to take a hard-line on negotiations or know a lengthy legal review is imminent on either side, you should add additional lead time. If you are going to market or actively looking to change suppliers, your lead time should take into account the implementation timeline to test, transition, and get a new supplier up and running. To really maximize your leverage with an existing supplier, your timeline should allow for this most extreme case, e.g. if the incumbent knows you can’t feasibly make a change in the time between when you engage them and the end of the contract or notice period, they'll likely take a much firmer negotiation position. Review how your services and spend have evolved since the previous contract was put in place. You should consider the services and products you’ve added or removed from scope since the contract was first negotiated, what service areas are driving your spend (i.e. the areas you likely need to negotiate more aggressively), and where you see your services going over the next few years. If your services have changed significantly since your last sourcing event, it likely makes sense to take your current mix of products or services to market or enlist a partner for benchmarking services to determine if the pricing for the current mix of products/services is competitive. Evaluate the competitiveness of any renewal proposal and the market. If you aren’t sourcing for products or services, you’re essentially relying on your previous pricing and any market indicators to determine if your pricing is competitive. In a depreciating market, you’re likely to see the supplier drop pricing for your renewal, but how much of a reduction is appropriate? Similarly, if costs are rising, how are you tracking any indices or competitive pricing to determine if and how much of an increase in cost should be acceptable? Leaving time to go to market will give you better insight into what is available, but you can also look to third parties like Source One to provide market insights for benchmarking proposed costs. Renewals and contract re-negotiations should factor into any category plan and command the appropriate timelines and effort. Introducing renewal management to critical suppliers is a good start; Category Managers should ultimately develop plans to manage even the smaller renewals – those small increases year-over-year can start to add up! Don’t get caught in a drawn out or costly renewal cycle because you have no choice or have waited too long to negotiate against the renewal clock!